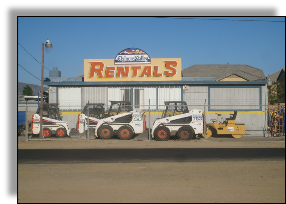 Elsinore Valley Rentals has been offering rental services to the Lake Elsinore, CA community for over 25 years. Locally owned and operated, our company provides rental services for generators, auto trailers, carpet and floor covering equipment, concrete mixers and other heavy duty vehicles and equipment. Stop in and have our friendly and knowledgeable staff set you up with the equipment rental that's right for you. We are here for your rentals needs.